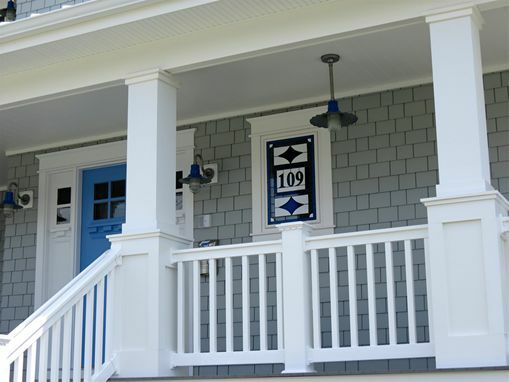 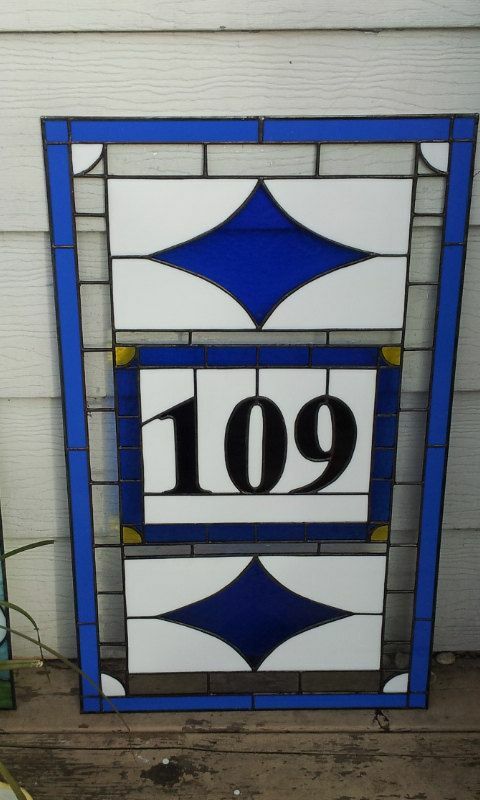 This polished and clean stained glass window with house number is already decorating our customer's house entry!!! 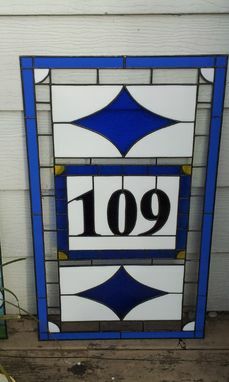 Size: 18 3/8 wide X 30 3/8 tall. 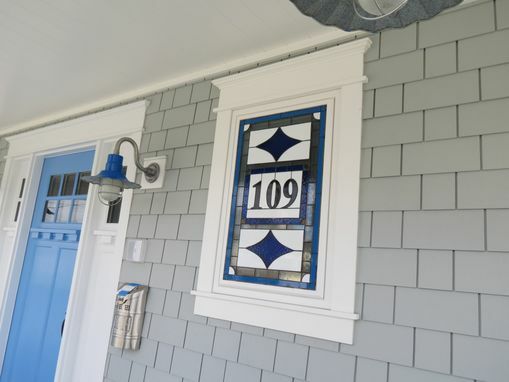 Glass selection: Mariner blue for the outer border, clear seedy for the inner border, solid white for the background and corners, light blue for the diamonds and the border of the central house number box and, finally, pale amber for the corners of the house number box. 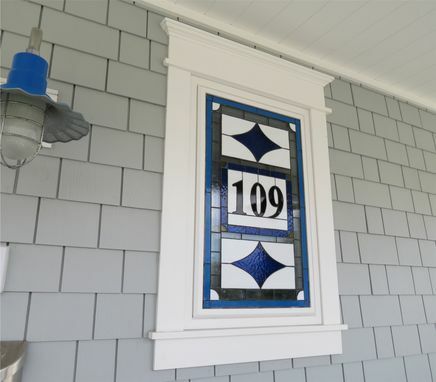 This beautiful piece is the result of a collaborative work between our customer and us in order to create a piece that fits perfectly with our customer's new home!